With our tropical weather, dessert is practically mandatory. Luckily for us we’ve got a wealth of choices, from western style desserts to locally flavoured ones. The abundance of choices makes hunting for desserts quite overwhelming, but we’ve done part of the hard work by narrowing down ten places you can consider. You’ll just have to munch away at one of the top 10 places for dessert in Singapore and tell us how delicious it was. 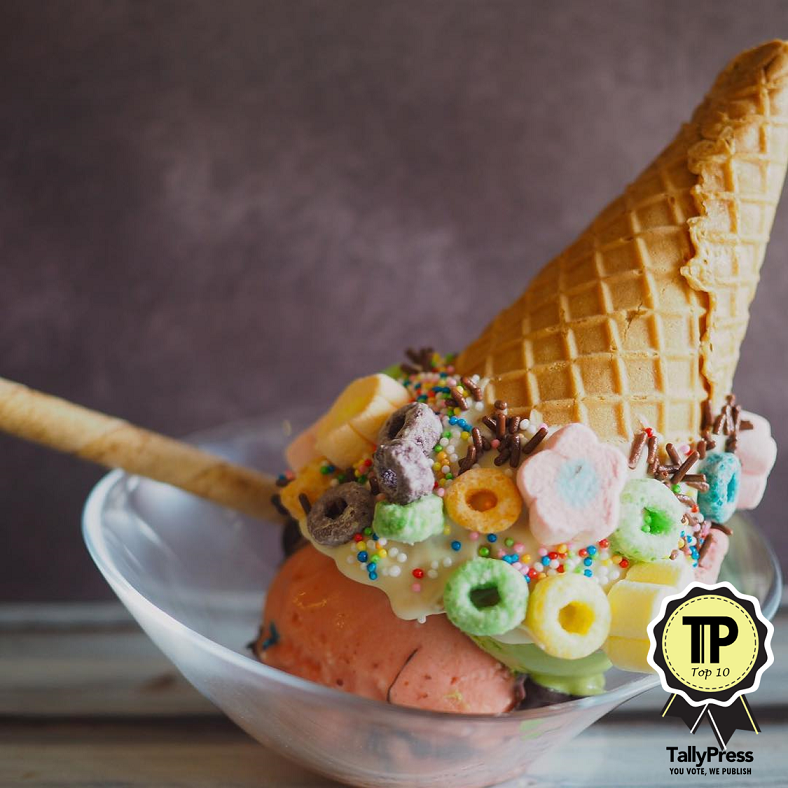 They identify themselves as a “casual creamery, pastries and desserts spot”, and that tells us there’s something for everyone here. 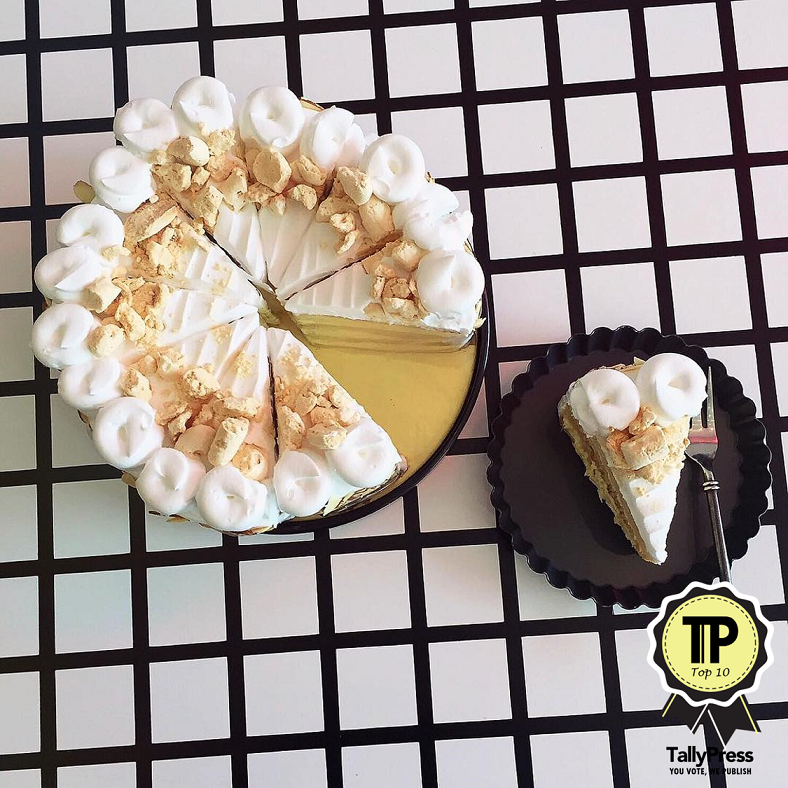 Located at Neil Road, you’ll find homemade desserts crafted with love and passion. Travis Goh is the resident ice-cream and pastries expert, while Brian Lee handles the business aspects of Apiary. They also have a nice selection of drinks on their menu. Who says a delectable dessert has to be expensive? 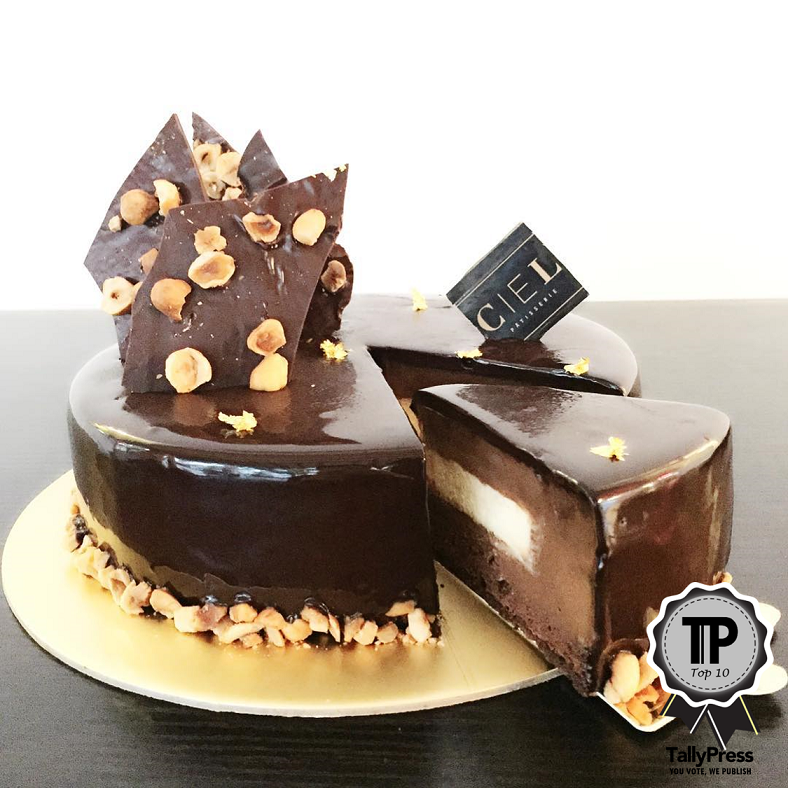 Go to Ciel Patisserie and you’ll see that’s not the case. You can get a slice of heaven (Ciel means sky or heaven in French!) for a reasonable price here, from cheesecakes and tarts to shortcakes and madeleines. There are even savoury quiches for those who don’t have a sweet tooth. Founder Chara has certification from the renowned Le Cordon Bleu Paris. They currently have two branches – at Hougang Ave and Bukit Merah. If you’re screaming for ice-cream, head on over to Maju Avenue for a quick fix. 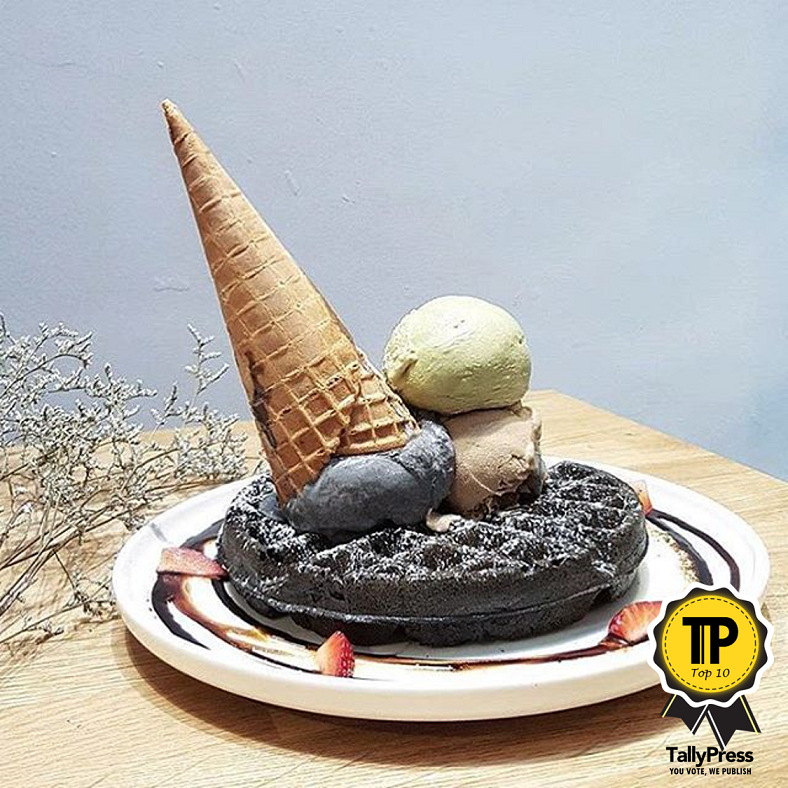 From Instagram worthy waffles, to the simplicity of a solid scoop of ice-cream, it’s a great way to forget the heat of Singapore and bask in the tantalizing coolness. It’s not all rainbow sprinkles and pastels though, this has to be an ice-cream shop even the goths will adore, with skull imagery throughout. As the name suggests, you’ll be able to patronize this outlet until 2am, perfect for night owls who crave desserts once the sun has gone down. 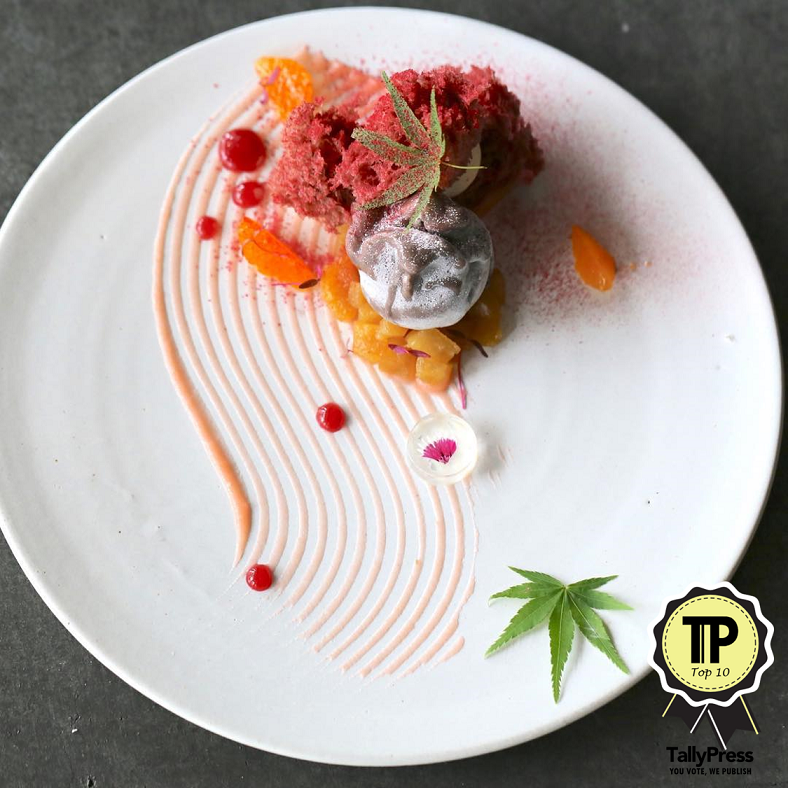 Chef Janice Wong is always happy to create art in dessert form, and is driven by her passion. You can be sure the desserts here are one of a kind and certainly eclectic, with options that look like they were created by Willy Wonka himself. From ice-creams and churros to more complex items, you will be spoilt for choice. Most dessert shops have a signature item, and for Dazzling Café it’s their Honey Toast. Originally a Taiwanese brand, it has now reached Singapore’s shores with great response. 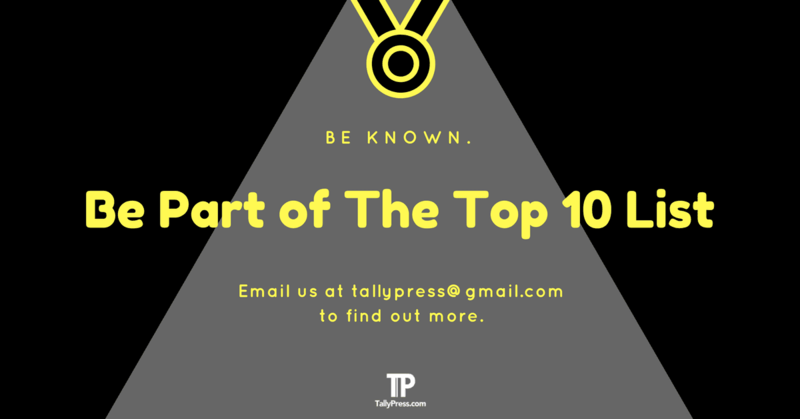 A hit among celebrities and socialites, they have items like crepes, cotton candy on toast, and matcha flavoured ice cream sundaes. They currently have two outlets – one on Orchard Road, and another at Capitol Piazza. 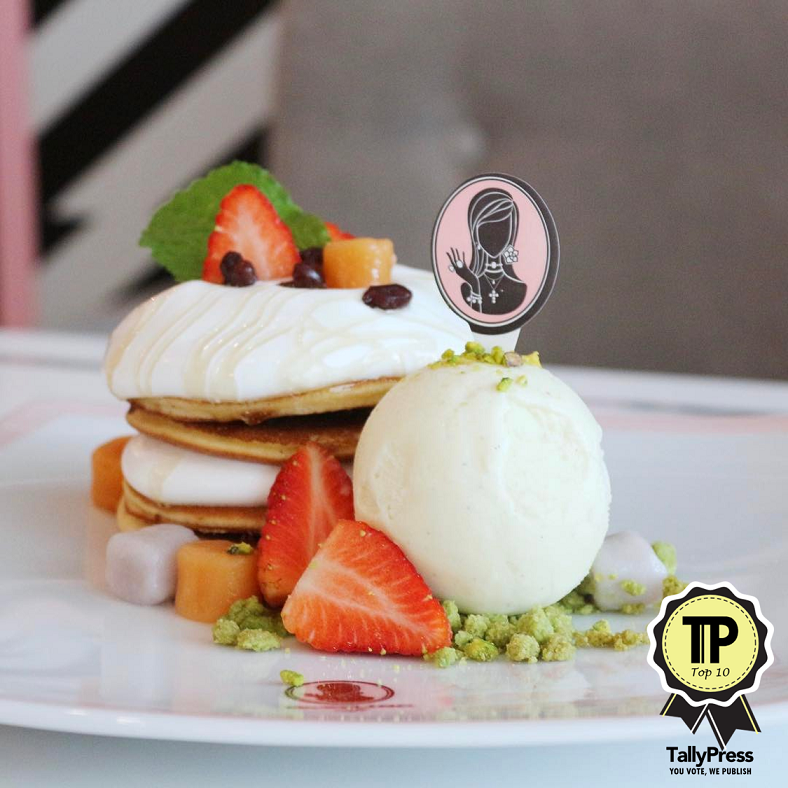 Located at Tanjong Pagar Road, this café is known for their Italian Gelato selection. You can have it as simple as you like, or even dress up your cone with a variety of toppings. Not a fan of cones? 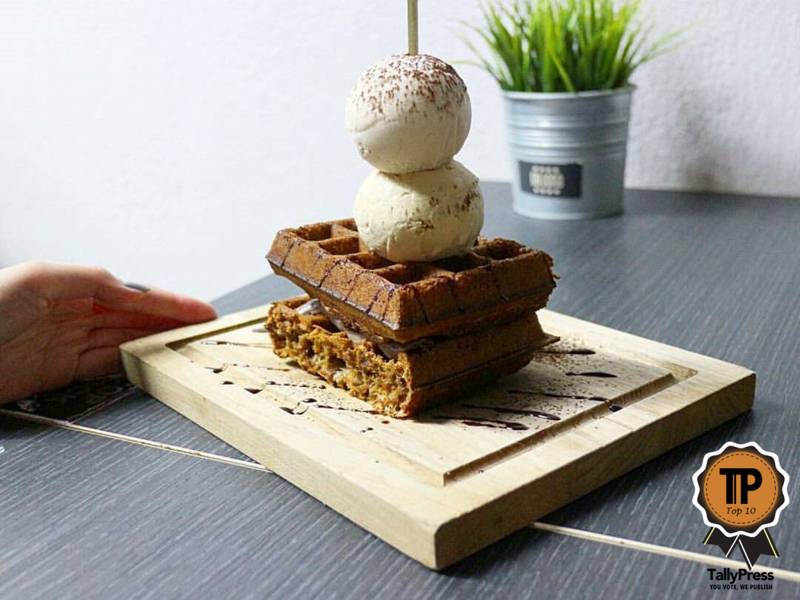 Get your gelato on top of a waffle for the ultimate indulgence. Try the chocolate lava cake served with gelato. Is there anything more inviting than the smell of freshly baked goods? Probably not, and if that’s your favourite scent you should head over to Arab Street for a whiff and a taste at All Things Delicious. 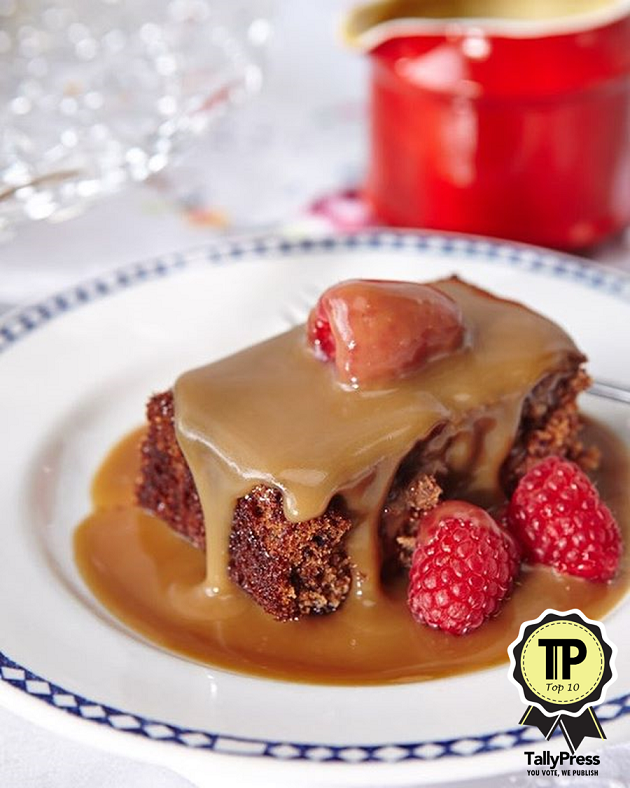 Among the bestsellers are classics like sticky toffee pudding, carrot cake, and banana upside down cake. They’ve also got an array of scones, with unique flavours like Gula Melaka and Orang Cranberry. For those who prefer desserts the old-fashioned way, there’s Cake Spade – not to be confused with a fashion brand with a name that rhymes. 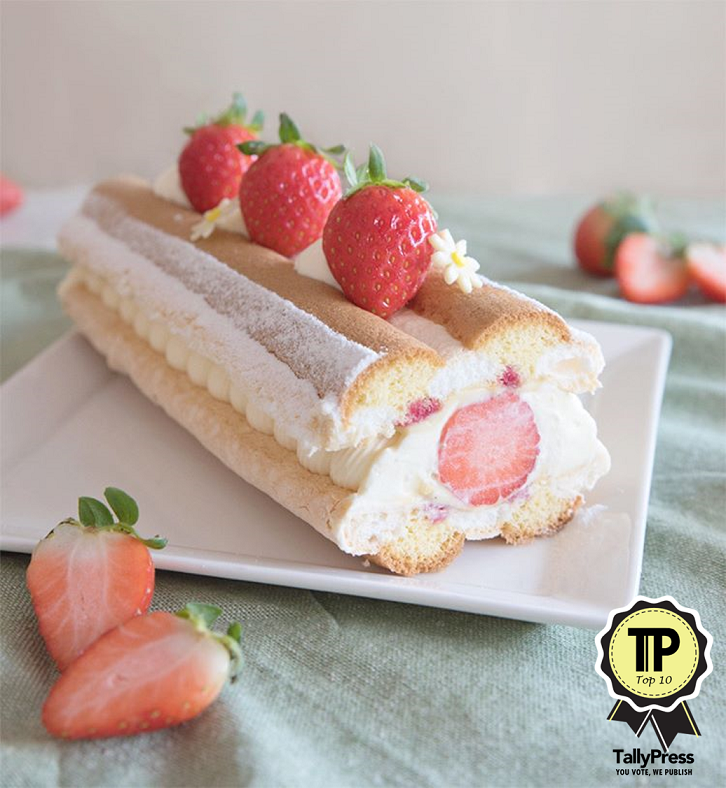 Cake Spade pulls you in to their store with the promise of delicious desserts made using traditional recipes. Fancy some Red Velvet, Oreo Cookie Crust, or even a Victoria Sponge? You’ll find it here. 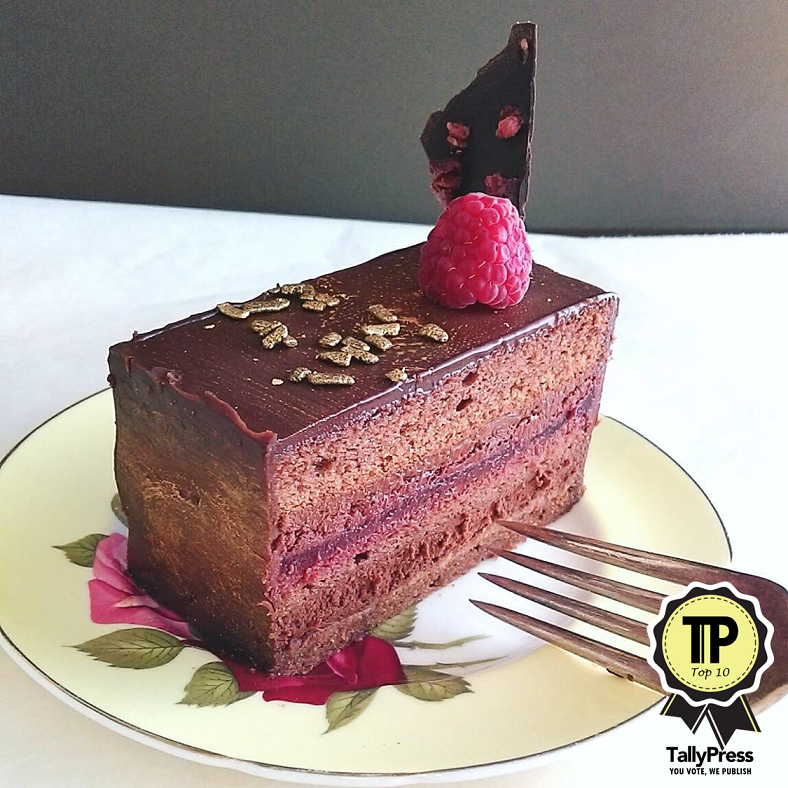 Chocolate lovers – check out their chocolatey concoctions like the Chocolate Blackout Cake, sure to send you into a chocolate induced food coma. Shenn, a Cordon Bleu trained cook with experience at an artisan bakery and chocolate shop, dreamed of starting her own bakery, and today along with partners Phoebe and Eunice, she’s doing just that. She produces a range of baked goods, from cakes and tarts to marshmallows and jams. You’ll see Tiramisu, Lemon Drizzle Loaf, and even Chocolate Sea Salt Tart. Order online to have it delivered or find them at Lorong Kilat, near Chun Tin Road. Dulcet & Studio is designed by one of the top Japanese designers, and is said to be the perfect location for a lazy afternoon tea. Perfect for any age group, you will find sweet treats like cakes, pastries and milkshakes to indulge your sugar cravings. Try their cream puffs, milk tea pudding or financiers – all designed with Japanese minimalism in mind. Again, another place that will make your Instagram feed pop, and your tummy very happy.